A somewhat controversial study based at the Peninsula Medical School in Plymouth has apparently found that the problem of childhood obesity is not lack of exercise, but over-eating. The study tracked 200 schoolchildren for an average of three years when they were between the ages of seven and ten, by means of electronic tags. The tags recorded physical activity undertaken by the kids for the same week of every year. At the same time their percentage of body fat was calculated. What the study shows is that in these young people, changes in body fat levels preceded changes in their physical activity level, but that changes in physical activity, say if a child was unwell, did not have any recordable effect on body fat. This suggests that overweight children are more likely to take less exercise, but not that children who take less exercise are likely to become overweight. The figures bear out the theory: children whose body fat was ten per cent above average when they were seven, demonstrated a lower amount of time spent doing moderate or vigorous activity by age ten – but the reduction is quite small, just four minutes less per day (or around half an hour a week) and it’s difficult to tell if that is a significant reduction as yet. These findings would need to be corroborated by other studies, but the suggestion is that poor diet choices plus overfeeding from an early age could be a greater cause of childhood obesity and ill health. This contradicts the usually cited reasons that children prefer to watch TV and play video games and fear of "stranger danger" - which stop parents allowing children to play outdoors. Children themselves suggest that being 'fat' is the biggest reason they don't exercise. It could also mean changes to the current government policy which currently focuses on practically increasing childhood levels of exercise in schools and playgroups but not theoretical education on healthy eating. 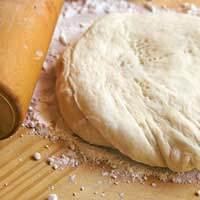 Make a deal to make it from scratch – pick just one family favourite food, such as pizza, pasta or cakes and commit to never buying it ready made – instead learn, as a family to bake your own pizza dough and create toppings, to making fresh pasta or to baking every cake you eat. Just one change in behaviour can help you to cut out waste calories, teach food skills and make a fun family activity out of what was just a convenience food. And home-made pizza, pasta and cakes are likely to be even more delicious than their ready-meal cousins! Buy activity – yes, it can be as simple as investing in new toys that promote exercise such as stunt kites, a badminton set, some foam footballs or a trampoline. New toys get played with and young people might nag you to take part. If they do, join in and set a good example! Make weekends about food and fun – by all means have a barbecue, but take your family on a long walk to a picnic spot before you cook: carrying your food and a disposable barbecue with you can be a great way to get exercise and enjoy good food. In winter take the kids ice-skating before heading off for a trip to the cinema where they can much popcorn after a couple of hours spend being active.